Opportunities to hear from, ask questions, and interact with a growing list of physician scientist role models include: several keynote talks, career panels, faculty-led round-table discussions, and an informal evening networking reception. Have you ever wondered: Who is a physician scientist? What do they do? What career options are available in healthcare, academia, research, industry, or the private sector? Do you need a PhD to do research? Do you need an MD or DO to translate science to patients and society? How does basic science research compare with other types of research like clinical trials, drug discovery, outcomes improvement? What are ways to get involved or participate at various stages of your training, from undergraduate to graduate to post-graduate level and junior faculty? Is it ever too soon or too late? Ask our mentors and find out! Dr. Katz has been Director of the National Institute of Arthritis and Musculoskeletal and Skin Diseases since August 1995 and is also an Adjunct Investigator in the Dermatology Branch of the National Cancer Institute. Dr. Katz has focused his studies on immunology and the skin. His research has demonstrated that skin is an important component of the immune system both in its normal function and as a target in immunologically-mediated disease. In addition to studying Langerhans cells and epidermal-derived cytokines, Dr. Katz and his colleagues have added considerable new knowledge about inherited and acquired blistering skin diseases. Dr. Katz has trained a large number of outstanding immune- dermatologists in the U.S., Japan, Korea, and Europe. He has also served many professional societies in leadership positions. He has received many honors and awards. Dr. Carbonell's keynote will share his diverse path from medical scientist training to academia to wielding a scalpel as a neurosurgeon and starting a new venture for radically changing the treatment of brain cancer, commenting on practical challenges and opportunities for translating research into actionable treatments. Dr. Zeiger is international known as a leader in endocrine surgery and thyroid cancer research, leading an NIH-funded molecular biology laboratory for over 20 years. She is also currently President of the American Association of Endocrine Surgeons. She is one of just 19 women currently leading surgical departments in the United States. Dr. Saavedra specializes in complex medical dermatology and serves as an editor of Fitzpatrick's Color Atlas, the most widely read dermatology reference. His research interest is in the development of therapeutics or algorithms for novel treatment of poorly understood skin disorders. Dr. Goodkin is a clinician-investigator who cares for children with epilepsy. His research interests focus on understanding the pathogenesis of status epilepticus and basic mechanisms of epilepsy. He enjoys teaching at the local and national level, including serving as the program director for the child neurology residency program. He is an editor of multiple neurology journals and reference texts and is the treasurer-elect of the American Epilepsy Society. Dr. Brayman is a transplant surgeon and the director of kidney, pancreas and islet transplant programs. He was responsible for developing and establishing the pancreatic Islet Transplant Program, including an FDA-approved Human Islet Isolation class 10,000 GMP Facility for the isolation of clinical-grade pancreatic islets for transplants and currently participates with the NIH-sponsored Collaborative Islet Transplant Registry (CITR). Dr. Petri’s laboratory conducts clinical and molecular pathogenesis research on the parasites Entamoeba and Cryptosporidia and the bacteria Clostridium difficile, and is also involved with an international study on maternal and child health in Bangladesh. Dr. Carbonell graduated first in her medical school class and was elected AOA. She then trained as a neurosurgeon before applying her background to develop therapeutics for unmet clinical needs such as glioblastoma and ovarian cancer. Her keynote will serve as inspiration for how to persevere through challenges using her life story as a doctor, patient, and innovator. Dr. Erdbrügger specializes in kidney care and research interests include biomarkers of endothelial damage and CMV infection in organ transplantation. She applies advanced imaging of microparticles for early detection of vascular damage. Dr. McGowan specializes in Allergy and Immunology, treating conditions such as IgE-mediated food allergy and Eosinophilic Esophagitis (EoE). Her research interests include identifying novel risk factors and treatment options for childhood food allergy and EoE, blending disciplines from epidemiology, immunology, and clinical investigation. Dr. Burnsed is co-directs the Neuro-NICU program. She spends a significant amount of time outside the NICU in her research lab, working on neonatal brain injury. She investigates chronically abnormal neuronal activity in the hippocampal-parahippocampal circuit using the latest imaging and electrographic recordings. Dr. Lunardi maintains an active research laboratory along with clinical responsibilities in the ICU and operating room. Her research interests focus on characterizing the toxic effects of commonly used intravenous and inhaled anesthetics, surgery, and critical illness on the developing and aging brain. Dr. Krishnaraj’s research seeks to improve the quality, safety, and efficiency of imaging and health care in the United States by leveraging his formal training in public health, clinical radiology, and informatics to maximize radiology’s value to society. The focus of his research is on patient centered care, LEAN driven process improvement, the value of reporting, the role of artificial intelligence, the impact of social media in radiology, and the implications of evolving US health policy on the field of radiology. Dr. Angle specializes in minimally invasive techniques to treat peripheral arterial disease, aortic aneurysm disease, venous insufficiency, venous thromboembolic disease, dialysis access maintenance and cancerous tumors. He is recognized nationally and internationally as a leader in the IR and has shared his research and experience through numerous publications, talks, and his role as IR program director. Dr. Kong is a dermatologist and Head of the Cutaneous Microbiome and Inflammation Section. She has long been interested in the role of human-microbe interaction, particularly in inflammatory skin diseases. Her work has advanced the understanding of the temporal stability and complexity of microbial communities of human skin in healthy individuals and patients. Her work combines clinical/translational expertise with metagenomics to study skin microbes and gain insights into the pathogenesis of atopic dermatitis. 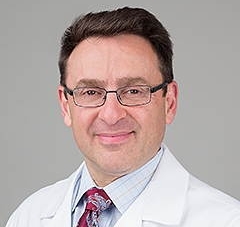 Dr. Krupnick is a general thoracic surgeon with clinical expertise in lung transplantation, thoracic oncology, including lung and esophageal cancer, as well as benign foregut disease, and chest wall deformities. His laboratory focuses on immunologic diseases of the lung, including reasons for rejection of transplanted lung grafts and acceptance of lung tumors. He specifically focuses on mechanism used by tumors to evade the immune response. Dr. McNamara is a Professor and Vice Chair of Faculty development in the Department of Medicine, Division of Cardiovascular Medicine, with a joint appointment in the department of Molecular Physiology and Biological Physics and a resident faculty member of the Robert M. Berne Cardiovascular Research Center. She has been recognized nationally and internationally as a leading pioneer in atherosclerosis research focusing in relationship between immune system and pathophysiology of the disease. Dr. Mandell is a Professor in the Division of Neuropathology. His diagnostic work encompasses all of surgical and autopsy neuropathology, with a focus on neuromuscular disorders. Dr. Mandell participates in several collaborative research programs, including a project to identify microRNAs that may serve as biomarkers for inflammatory myopathies. 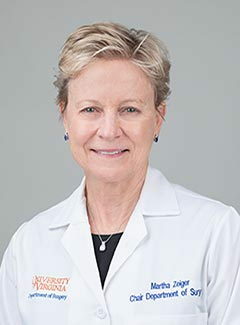 Dr. Loughran is the current director of the UVA Cancer Center. He completed his fellowship in medical oncology at the Fred Hutchinson Cancer Research Center under direction of Nobel Laureate, Dr. E.D. Thomas. His career as a physician scientist is a testament to translational research beginning with his discovery of large granular lymphocyte (LGL) leukemia. He has published numerous articles in high impact peer-reviewed journals including NEJM, Ann. of Internal Medicine, Lancet, JCI, JCO, and Blood.